At first glance, the 2019 Ford Escape and Chevrolet Equinox have a lot in common - like proficient power and sporty crossover utility. These compact crossovers are also known to deliver a comfortable trip. So, which one should you choose? Our comparison guide is here to help. With its fuel-efficient turbodiesel engine, the Equinox offers outstanding EPA ratings, earning up to 28 city/39 highway mpg. However, keep in mind that you have to pay extra for this powertrain before you can enjoy its commuter-friendly performance. The 2019 Ford Escape earns max fuel ratings with its turbocharged 1.5-liter four-cylinder engine, achieving 23/30 mpg. Although it's not as fuel-savvy as the Equinox, the Escape packs plenty of punch for a strong, smooth ride to work. Here, the Escape leaves the competition in the dust. Its family-friendly cabin provides supportive seating and world-class climate control, both of which lend themselves to the perfect road trip. The Escape's interior design is pleasing to look at, but it's also useful, with easy-to-reach controls and excellent visibility from the driver seat. The 2019 Chevrolet Equinox isn't too far behind. Inside, you'll find generous head and leg room in both rows. However, the air vents could be a bit more strategically placed to improve comfort. 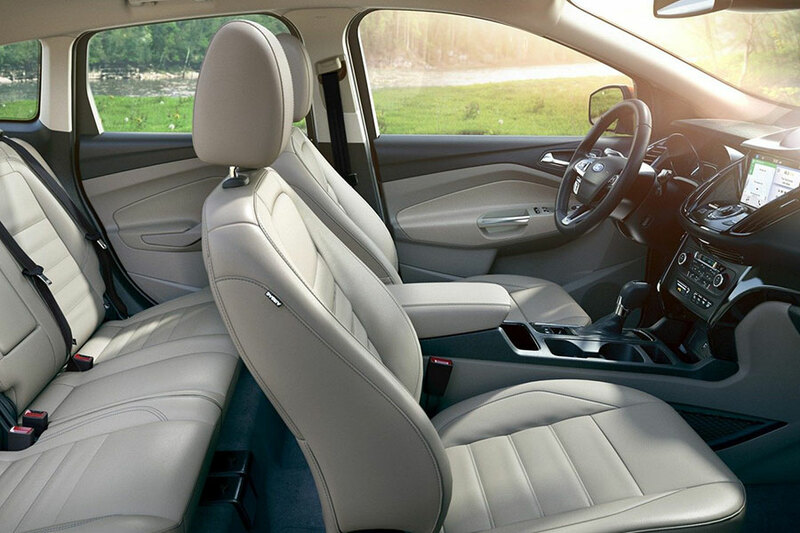 As a result, the Equinox's leather upholstery can feel more stifling than luxurious. Best Tech Lineup: It's a Tie! This one was too close to call. In the 2019 Ford Escape, you'll find the new Sync 3 infotainment system. The 2019 Equinox features Chevy's new Infotainment 3 interface. Both systems include Apple CarPlay and Android Auto, smartphone integration features that offer access to apps via voice control and central touchscreen. Now you can use your phone's Maps or Music apps without glancing away from the road. We also like that both the Sync 3 and Infotainment 3 systems feature intuitive, responsive touchscreens. Here, the Ford Escape has the edge. Throughout the cabin, you'll find helpful nooks and storage spaces to organize your carry-on items. Moreover, the Escape provides more room for your shopping bags, with 34 cubic feet of cargo space behind the rear seats. To haul larger items - like IKEA boxes or your bicycle - simply flip down the rear seats to create 68 cubic feet of max cargo space. The Chevy Equinox should be able to handle most family grocery hauls. However, the Equinox has slightly less to offer in terms of cargo space, with 29.9 cubes behind the rear seats and 63.9 cubes with the seats folded down. 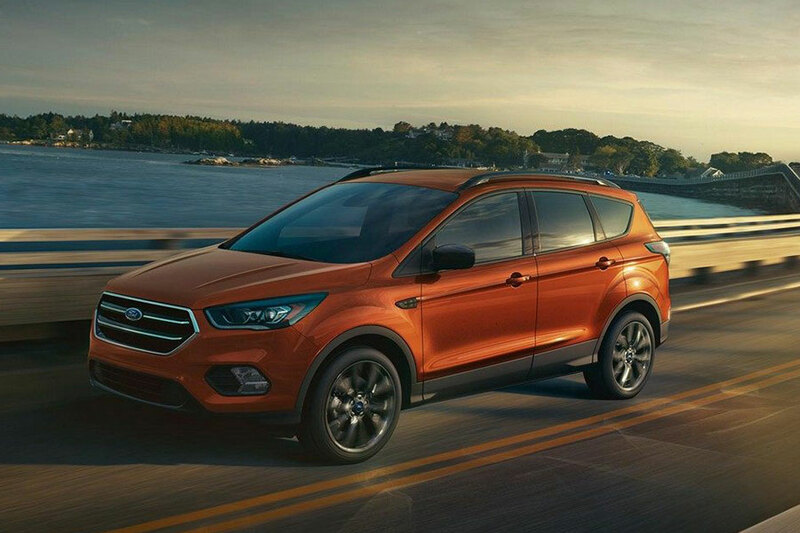 The 2019 Ford Escape wins us over with its sporty ride, rich passenger comfort, and family-friendly utility. Whether your family loves road trips or you're shopping for a sporty commuter, the Escape delivers the goods.